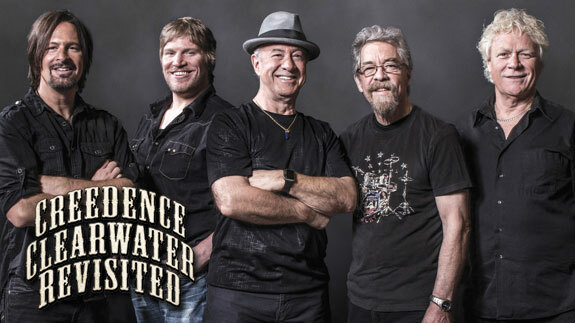 Creedence Clearwater Revisited has been performing all their hit songs live since 1995. Since that new beginning, the legendary rhythm section has thrilled hundreds of thousands on world tours and with its platinum selling album Recollection. “Proud Mary” would certainly be happy how they’ve carried on their iconic music to many generations – from “Who’ll Stop the Rain,” “Bad Moon Rising” and “Down on the Corner” to “Born on the Bayou,” and many others. Tickets go on sale Monday, April 29 at 9AM.